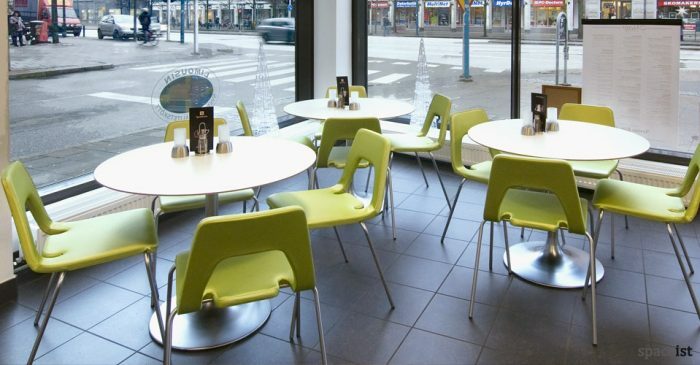 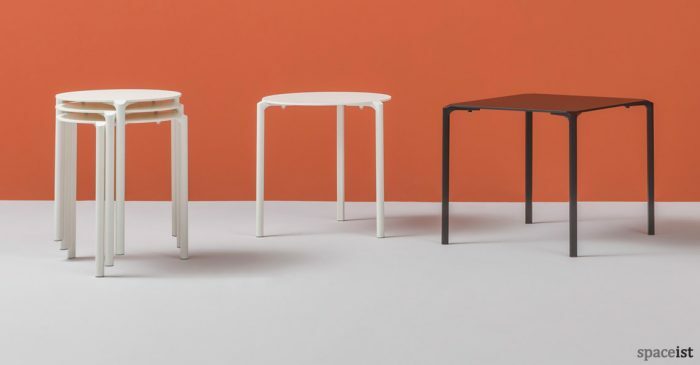 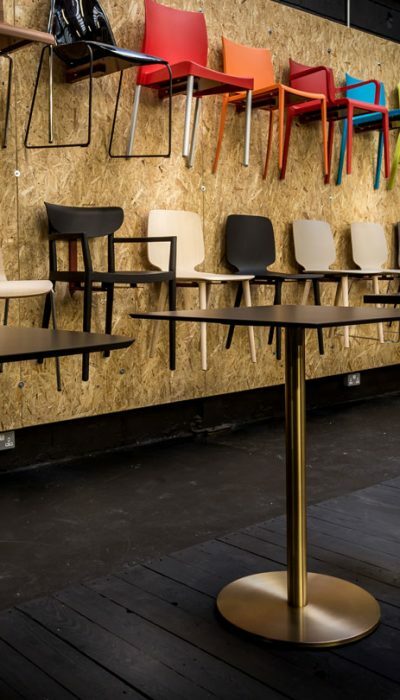 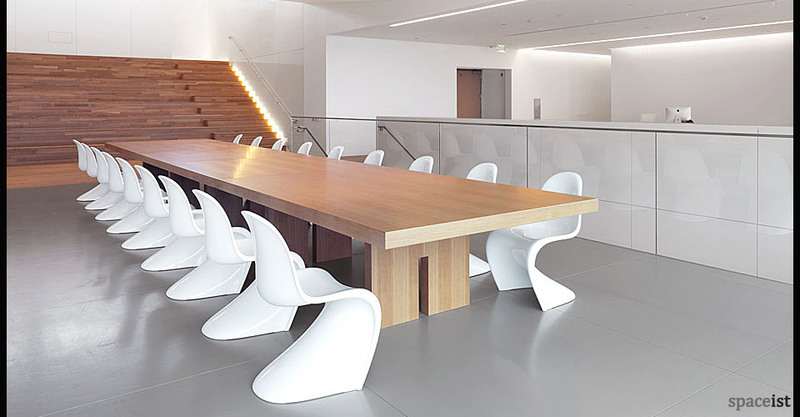 A unique and classic modern cafe chair constructed from moulded polypropylene in a cantilever style. 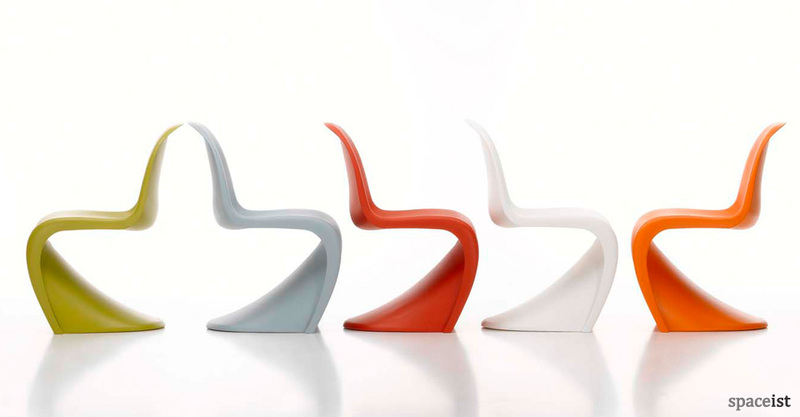 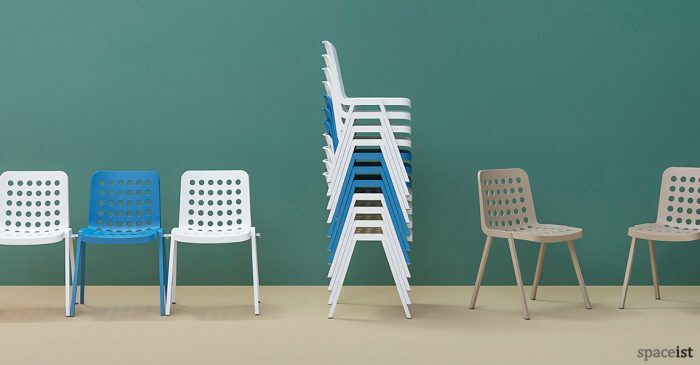 The matt finish chair is available in six colours. 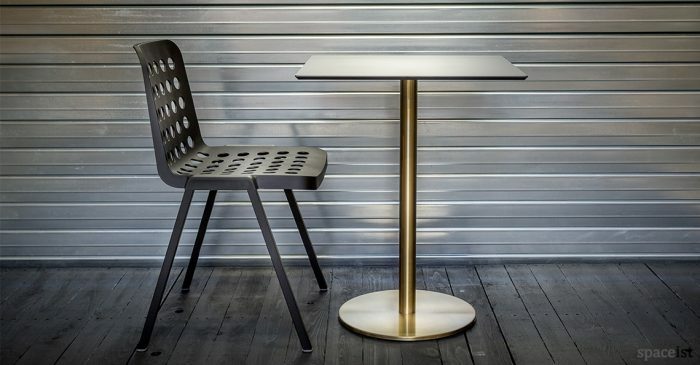 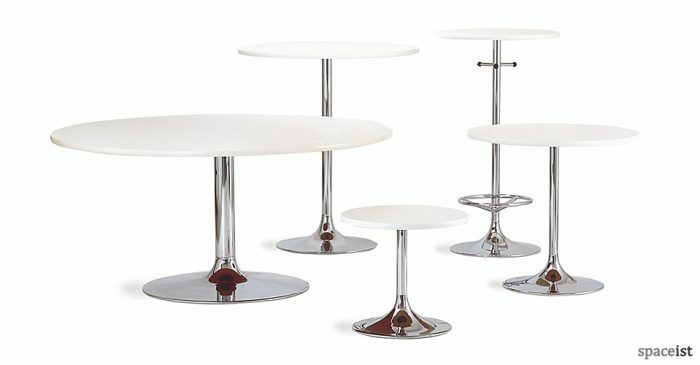 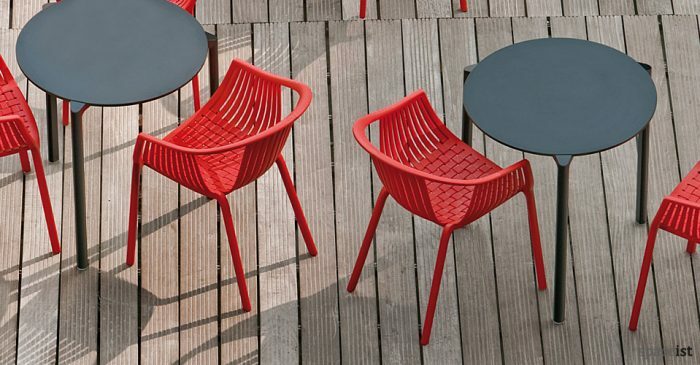 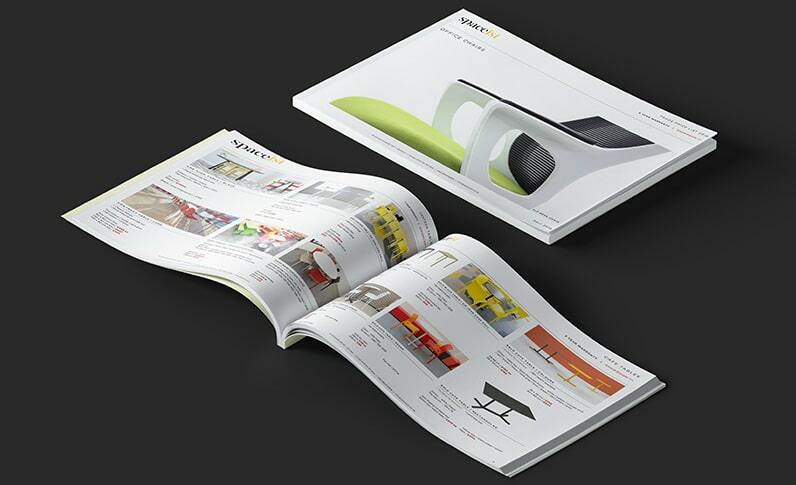 The Panton can also be used as an outdoor cafe chair.